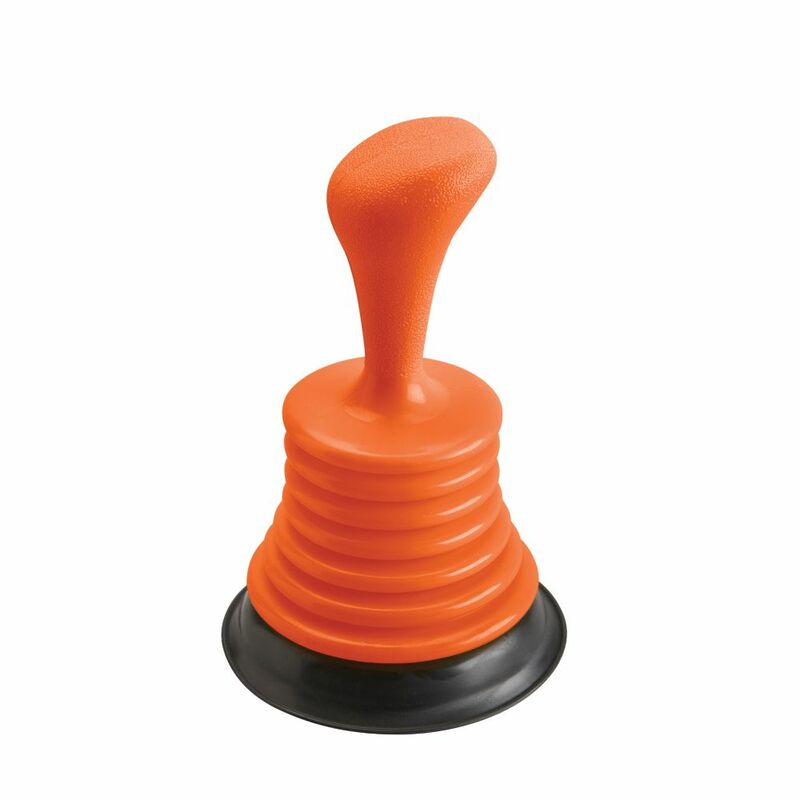 Made of plastic and compact design this mini plunger features bellows design providing strong suction power to remove clogs in sinks and drains. Keep your sink, shower and tub drains clear with Cobra's Skinny Snake. Skinny Snake's wire cable will conveniently work through most strainers and pop-ups without having to remove them. It's easy to use simply rotate the radial hub of the case or use the finger grips to feed the cable through the drain. Drain-FX is a revolutionary patented product to unclog all of your blocked sinks, bathtubs or shower drains without the use of harsh chemicals. It is an easy DIY Plumbing Tool designed by a master plumber that uses simple tap water and clever engineering to create a miniature pressure washer, that breaks up and washes away clogs. It is an environmentally-friendly solution for slow & clogged drains, which can be used as a preventative maintenance tool, which will save you time and money by eliminating the need for a plumber and completing the job in seconds. Our revolutionary Powder Plunger delivery system is designed to safely pour the right amount to clear your toilet bowl clog. No splashing, no waste, no measuring. Finally, power and green can work together, "won't harm toilets like other drain openers - safe for pipes and septic systems". Be prepared for any Plumbing and clog problems with the easy to use Drain Buster plunger by JAG Plumbing Products. Clogged sinks, toilets and shower drains are now not a problem with the JAG for Plumbers Pack of two plunger units. JAG Plumbing products strives to bring on-line Customers the best replacement and repair parts available to North America. Experts in the field of non-OEM repair parts; JAG Plumbing offers customers a selection of economic solutions for their every-day home plumbing repairs. Based in Ontario Canada, the Team at JAG scours North America to bring on line customers unique, hard to find parts of the highest quality. Mini Plunger Made of plastic and compact design this mini plunger features bellows design providing strong suction power to remove clogs in sinks and drains. Mini Plunger is rated 4.0 out of 5 by 1. Rated 4 out of 5 by Nizi from Works great This very handy and the price is bang on. The only reason it didn't get 5 stars is because it's made of cheap, milk jug plastic. After a few vigorous uses its already showing wear.